The fearless Jessi Combs was born for everything automotive. Her passion to get in the driver seat and behind the wheel of nearly anything with a motor has led her through some amazing and unusual achievements. With a degree in custom automotive fabrication, Jessi has reached out to millions with her build skills on TV shows such as All Girls Garage, Mythbusters and Overhaulin' to name a few, as well as through community and educational outreach. 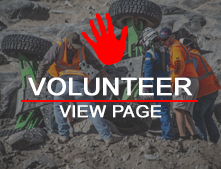 As the fastest woman on four wheels at 477 mph, first "Queen" of the Hammers, Ultra4 National Champion, and a Baja 1000 podium finisher, she empowers many through the act of simply leading by example. Her desire to show more women (and men alike) that they too can build their ideas, go fast, get dirty, have fun, and still be feminine shines through everything she does in life.